Work experience: Worked as a cement mason, has been the business representative for the Northeastern Washington-Northern Idaho Building and Construction Trades Council since 2000. Political experience: Appointed to his current position in 2003. Won election for seat in 2004 and every two years since. Family: Married. Has three children and four grandchildren. Education: Graduated from Colfax High School in Colfax, California, in 1988. Earned a bachelor’s degree in economics from University of California-Davis followed by a master’s degree in military studies in 2004. Work experience: Served nearly 22 years in the Marine Corps, retired as a lieutenant colonel. He served tours in Afghanistan, Iraq and the Western Pacific. Voters and donors aren’t backing away from incumbent 3rd District Representative Timm Ormsby, a Democrat, despite him being charged with driving under the influence in February. Since then Ormsby has apologized and said the incident was a wake-up call that caused him to quit drinking entirely. 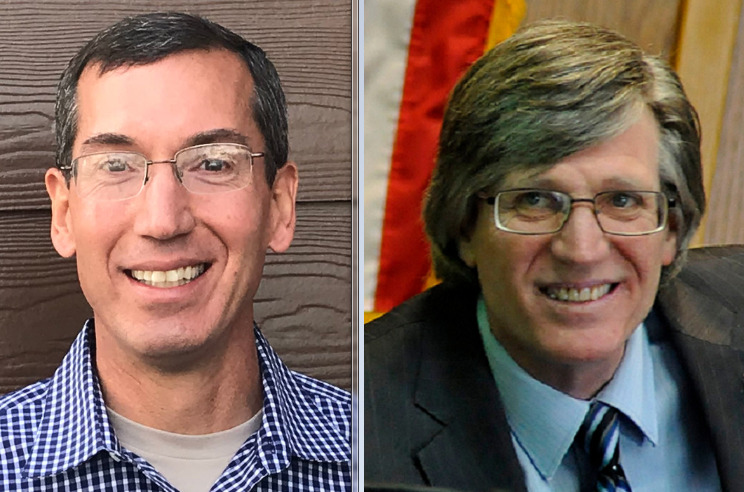 In the August primaries Ormsby collected a commanding 64 percent of the vote against his opponent, retired Marine Lt. Col. Dave Lucas, a Republican and a political newcomer. Ormsby also holds a substantial lead in fundraising, collecting nearly triple the cash Lucas has. Ormsby’s driving charge stemmed from a one-car rollover crash in Olympia. He pleaded guilty to reckless driving, a common downgrade in charges for first-time DUI offenders. He was fined $941, must serve two years of supervision and lost his license for 90 days. He also completed a substance abuse assessment and attended a victim impact panel. Lucas’ background is outside of politics. After his nearly 22-year career in the Marine Corps, he and his family moved to Spokane in 2013. He thought he might get into restaurant franchising and helped launch Blaze Pizza near Gonzaga University, but then became a full-time volunteer. He is currently chairman of the Rockwood Neighborhood Council, serves on the Spokane Veterans Affairs hospital Patient and Family Advisory Committee, sits on the Inland Northwest Boy Scout Council executive board and is a Cub Scout leader. Lucas said property crime in general and one legislative bill in particular are why he decided to challenge Ormsby for his seat. He has pushed Spokane city leaders to hire more police officers to address property crime and also wants the state to offer supervised probation for property crimes offenders. There was such a supervision bill during the last session but Ormsby let it die, Lucas said. Lucas said he thinks the bill’s failure shows that Ormsby is not looking out for his constituents. Ormsby, however, said there’s a very good reason no law was passed. Previously there had been a bill in the Senate to add supervision to auto theft offenders in Spokane only as a pilot project. Ormsby co-sponsored a bill in the House of Representatives to add supervision to auto theft offenders in Spokane and Federal Way. The House public safety committee, however, recommended changing Ormsby’s bill to make it a statewide program. They made that recommendation on the Thursday before the Saturday bill cut-off, Ormsby said. There was no information on how much it would cost to make the program statewide and not enough time to figure that out, he said. Ormsby said he fully expects the issue to be back during the next session and he would even be open to expanding it to more property crimes than just auto theft. “I would love to have a conversation about corrections, sentencing and supervision,” he said. Ormsby has served as one of the district’s two representatives for 15 years and is the chairman of the Appropriations Committee, which helps create the state budget. During his legislative career he’s worked on a wide variety of policy and budget committees and knows how to navigate the process, Ormsby said. He’s worked to improve career and technical education in schools and said there is still more work to be done. He said the state’s sales tax system is regressive, and impacts the poor the most. He wants to add capital gains taxes as another funding source in order to tackle mental health, public safety and social services. Lucas said he wants to address the high cost of housing and said there are too many restrictions on development, which could alleviate the housing shortage. “That’s something we can work on locally,” he said. He has the experience and skills needed to serve, Lucas said. His last posting was as the executive officer of the East Coast Marine regiment, and he knows how to manage large budgets. Lucas has raised just over $43,800 in his fight against Ormsby and his largest donor has been himself. He gave $2,000 in cash to his campaign, plus $7,520 in in-kind donations and a $2,700 loan. Colfax resident Suzanne Roberts, who works for KidZKount, a Head Start organization based in Auburn, California, gave $2,000. Former Spokane County Republican Party Chairwoman Cindy Zapotocky gave $1,500. Associated Builders and Contractors Inc., Associated Builders and Contractors Western Washington Chapter and the Inland Northwest Associated General Contractors each donated $1,000. More than $32,000 of those donations came from individuals, with businesses and political action committees accounting for most of the rest. He has a total of 125 donors and has spent nearly $35,000, according to the most recent campaign finance documents available. Ormsby’s re-election fund was buoyed by the nearly $26,000 he had left over from his last election campaign and he has raised an additional $79,400. He has 94 donors, the majority of which are political action committees. Businesses and unions also make up a large portion of his contributors and only $1,500 comes from individual donors. He has spent $15,400. His largest donors, who contributed $2,000 each, include the Public School Employees of Washington, the Washington Beverage Association PAC, Avista, Mendax Inc., the Washington State Dental PAC, the International Union of Painters and Allied Trades and Laborers International of North American Local 238.